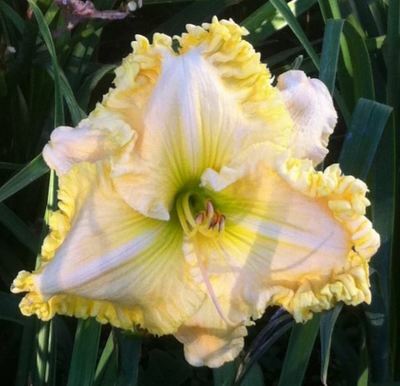 The flower opens a pale yellow in the morning, bleaches to white with a pink overlay as the day progresses. 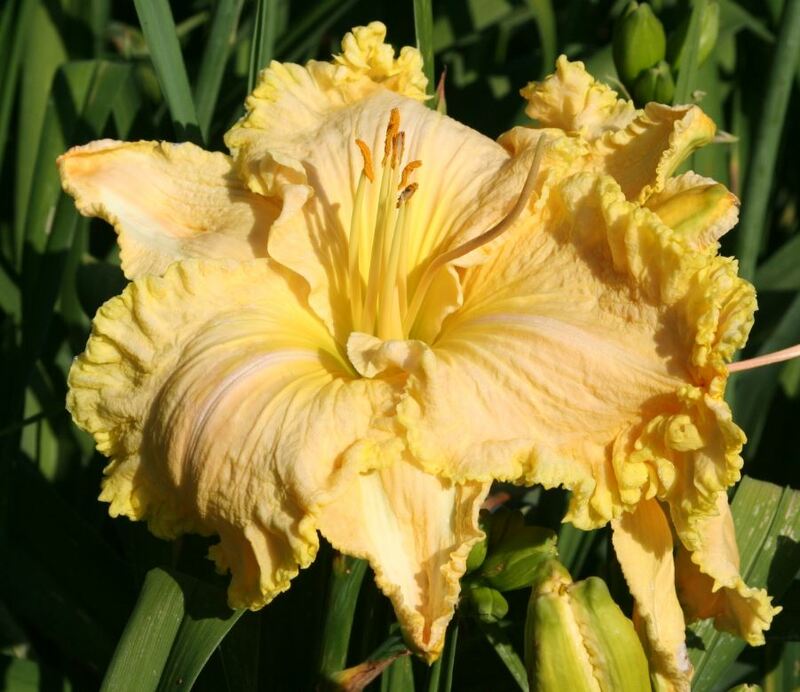 The branching and bud count in Mark Labbe’s garden, zone 6, is 2 – 3 way branching with a 17 to 22 bud count. 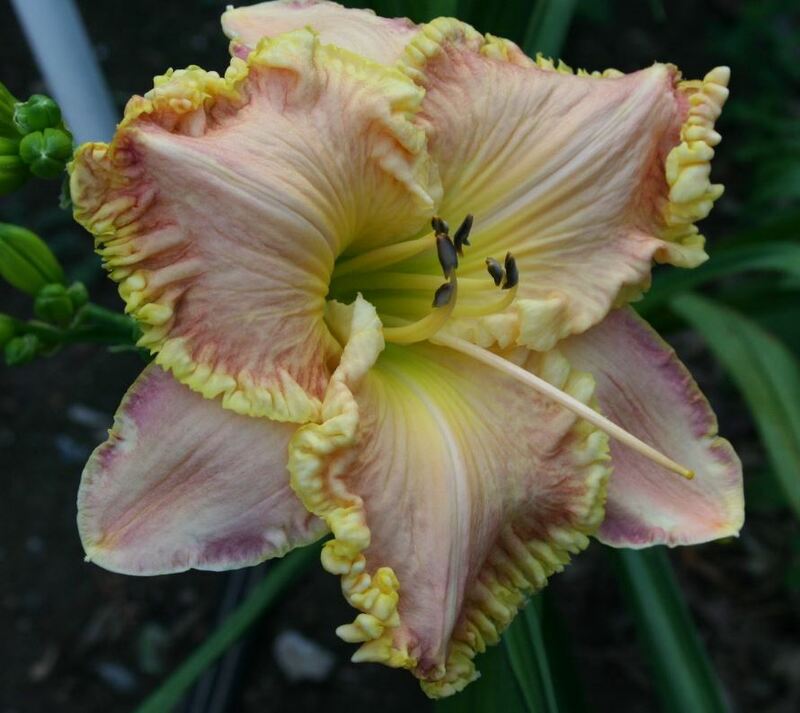 Pollen is viable and the pods set better when the pistil is short and that happens after the 4 or 5 bloom. In my garden, zone 5, the bud count and branching can be a little less. The flowers do not get hung up when opening. 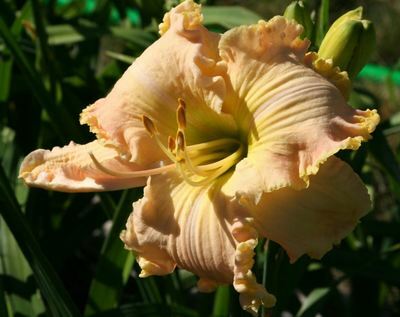 Makes a great pod or pollen parent and passes along that wonderful ruffling as seen from the seedlings shown. 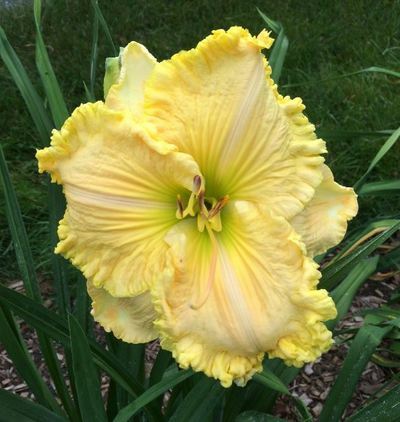 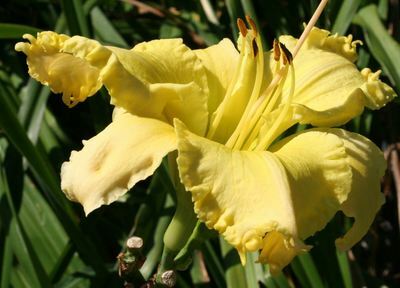 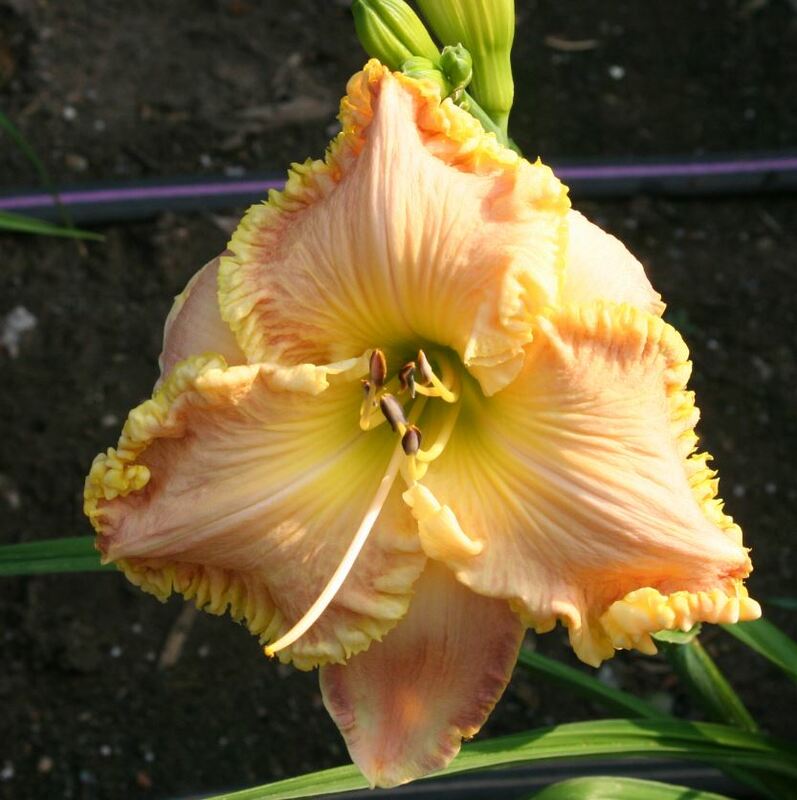 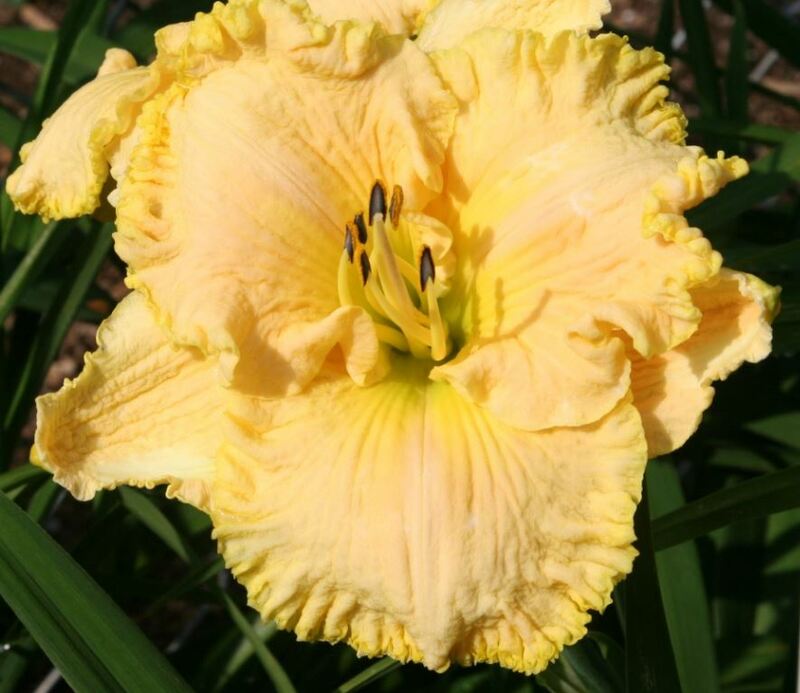 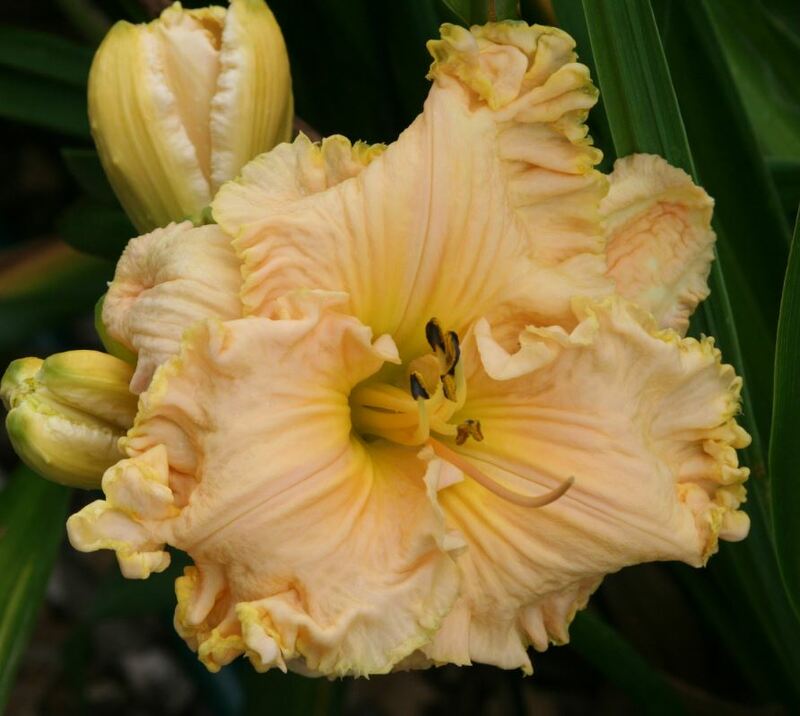 Garden name (The Big One) has been admired and coveted by many that have looked upon this daylily when it was a seedling.